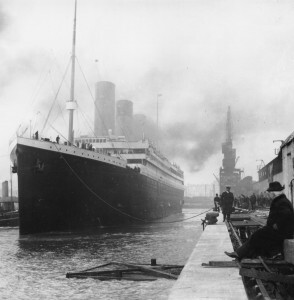 A piece of history, and responsible for some of the biggest movies and collections in history, the Titanic will celebrate its 100th anniversary on April 10-11, 2012. The world will remember the 1,517 passengers lost on the vessel as it met an early fate on a cold night in the Atlantic Ocean. Collections will be sold, 3D movies will be screened, and the world will once again recognize quite possibly the most famous ship in the history of the world. From voyage to sinking and everything in between, the Titanic has solidified its place in history and become a popular topic for those interested in the past. More about Titanic’s 100th Anniversary. Titanic Universe aims to bring you the latest news, events, and history surrounding this legendary vessel and educate readers on what the Titanic means to the world. We have one of the largest collections of Titanic news and information on the web and will continue to celebrate the history and future of the Titanic. 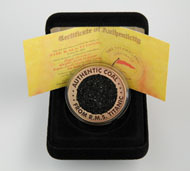 To learn more about the Titanic 100th Anniversary Commemorative Coal Coin, click here. The Titanic was the largest passenger ship of her time. Equipped with the finest luxuries of the time and deemed ‘virtually unsinkable’, the massive vessel was truly a spectacle. When the Titanic sunk after a glancing blow from an iceberg in the Atlantic Ocean, 1,517 of the 2,223 passengers on board were killed, making it one of the largest peacetime maritime disasters in history. Although in compliance with the lifeboat laws at time, the number of emergency vessels on board accounts for a large number of the fatalities as a result of the Titanic sinking. The aftermath of the sinking of the Titanic has led to changes in maritime law as well as controversy about whether the accident could have been avoided, and even a conspiracy surrounding the incident. The Titanic was a White Star ocean liner and had two sister ships named the Olympic and the Britannic (originally called the Gigantic). This line of cruisers was designed to be the sturdiest and most luxurious ships of their time. Construction of the Titanic was founded by American industrialist J.P. Morgan and his international Mercantile Marine Co. and began in March 1909. She was framed by April 6th, 1910, and became ready for launch (seaworthy) on May 31, 1911. Full outfitting was completed on March 31 of the following year, and her maiden voyage took place on April 10, 1912. She was equipped with two reciprocating four-cylinder, triple-expansion steam engines and one low-pressure Parsons turbine, which powered three propellers. There were 29 boilers fired by 159 coal burning furnaces that made possible a top speed of 23 knots (43 km/h; 26 mph). Only three of the four 62 feet (19 m) funnels were functional: the fourth, which served only for ventilation purposes, was added to make the ship look more impressive. The ship could carry a total of 3,547 passengers and crew. Offering passengers all of the aquatic luxuries of the time, the Titanic featured n on-board swimming pool, a gymnasium, a squash court, a Turkish bath, a Veranda Cafe and libraries in both the first and second class. Each room was decorated with beautiful and durable, french polished Mahogany furniture adding to strong appearance of the virtually unsinkable Titanic. In addition, The Cafe Parisien offered first class guests an even more luxurious dining experience unlike anything ever seen on a cruise ship. She was also equipped with two Marconi radios, an electrical subsystem which provided lighting to the entire ship, and steam-powered generators. The most expensive one-way trans-Atlantic passage was $4,350 (which is more than $95,860 in 2008 dollars). Lifeboats on the Titanic were actually up to regulatory laws of the time, and even exceeded the number of required lifeboats. The Titanic lifeboat laws weren’t based on the capacity of the liner, but rather the projected tonnage of the vessel. 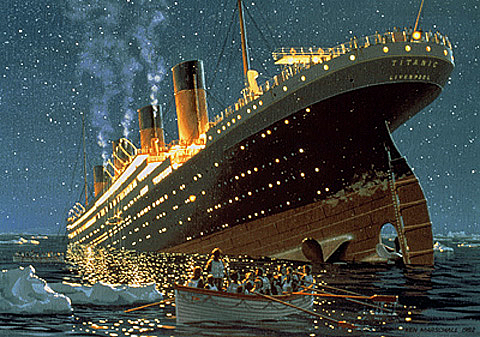 The Board of Trade only required 16 lifeboats on the Titanic to comply with the laws. 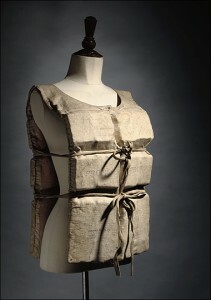 1,178 individuals could use lifeboats, which was much smaller than the maximum capacity of the Titanic which was 3,600. Although the number of individuals that Titanic lifeboats could accommodate was much smaller than the maximum capacity, the Titanic actually went over what was required. The Titanic began her maiden voyage from Southampton, England, bound for New York City, New York, on Wednesday, 10 April 1912, with Captain Edward J. Smith in command. The Titanic was so large that it had to be anchored offshore and ferries carried passengers to her. Upon embarking, there was a grand total of 2,240 people aboard. Many famous individuals during the time were aboard the Titanic including White Star’s managing director J. Bruce Ismay, and the ship’s builder Thomas Andrews. On Sunday, April 14, 1912, the temperature of the Atlantic Ocean dropped to near freezing; the night was clear and calm. The ship’s captain had received various ice warnings from other vessels, some of which reached the captain and others which did not. At 23:40, while sailing about 400 miles south of the Grand Banks of Newfoundland, lookouts spotted a large iceberg directly in the path of the Titanic. captain Smith took a hard left to try to steer clear of the iceberg, but the massive chunk of ice produced a gaping hole in the starboard site of the Titanic. 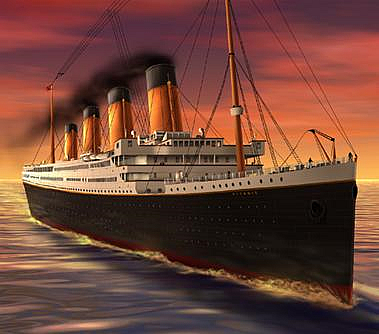 As the iceberg tore a 299 foot gash in the hull of the Titanic, water begun flooding into the watertight compartments. 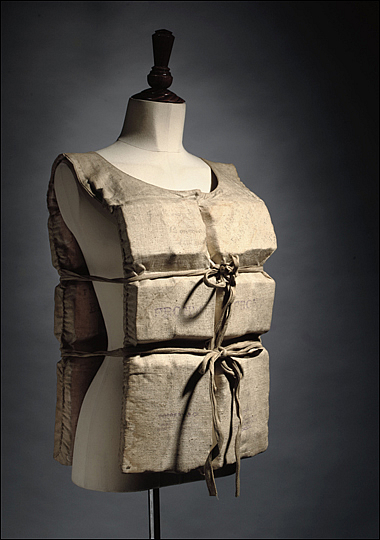 The Titanic was designed to be able to float with four of these compartments damaged, but the gaping hole exposed five of them, causing the Titanic’s bulkheads to fall below the waterline. The captain ordered the lifeboats deployed and a distress signal be sent out. Ships that received the signal include Mount Temple, Frankfurt, and the Titanic’s sister the Olympic, but none could reach the sinking Titanic in time. Lights from another vessel could be seen in the distance, and although the identity of the ship remains a mystery, speculation is that it was the lights of the Californian or a sealer called the Sampson. The Californian had warned the Titanic’s wireless operator of ice ahead and received an angry response back about being too busy to listen. It is believed that the Californian had seen the distress rockets launched by the Titanic, but the Morse Lamp distress signals had not. Many of the lifeboats were launched without being at full capacity and a woman and children policy being the standard for who got to board. By 02:05 the ship’s bow was completely underwater and all but 2 Titanic lifeboats had been launched. By 02:10 the waterline had breached the deck of the boat and the last two lifeboats had drifted to sea, one upside down and the other filled with water. At 02:20 the Titanic sank into the ocean. While it takes more than one error to cause something as catastrophic as the Titanic disaster, is it possible the White Star Line’s marketing campaign may have helped contribute to the Titanic sinking? If you think this idea is far fetched, consider reading more about the marketing of Titanic. After all, the ship was rather well-known far prior to it’s maiden voyage and most people were eager to spread the message of an ‘unsinkable’ ship. Of the 2,223 passengers on the Titanic, only 706 survived leaving 1,517 dead. The largest percentage of survivors were first class passengers, followed by second class, and finally third class. Most of the deaths were due to hypothermia in the freezing water, which would cause death in less than 15 minutes. 6 of the 7 children in first class survived. All of the children in second class survived, whereas only 34 percent were saved in third class. 4 first class women died, 86 percent women survived in second class and less than half survived in third class. Overall, only 20 percent of the men survived, compared to nearly 75 percent of the women. First-class men were four times as likely to survive as second-class men, and twice as likely to survive as third class men. Another disparity is that a greater percentage of British passengers died than American passengers; some sources claim this could be because many Britons of the time were too polite and queued, rather than to force and elbow their way onto the lifeboats as some Americans did. The captain, Edward John Smith, shouted out: “Be British, boys, be British!” as the ocean liner went down, according to witnesses. The Titanic wreckage was thought to be at the bottom of the Atlantic Ocean until it was discovered on September 1, 1985 by a French/American expedition using side-scan sonar for the vessel Knorr. 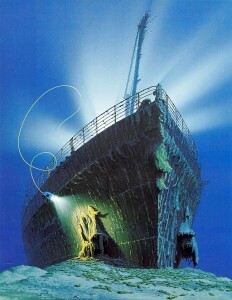 The Titanic wreckage was 2.5 miles down and about 370 miles from Mistaken Point, Newfoundland. Dr. Robert Ballard, who was part of the first expedition, returned in 1986 for the first manned dive into the wreckage in the submersible Alvin. The most astounding discovery of the time was that the Titanic had actually split apart despite what was originally assumed. 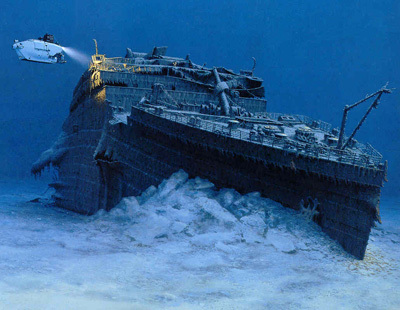 Plates, chairs, and other Titanic artifacts are scattered all around the wreckage, while softer material such as wood and human remains have been devoured by underwater organisms. Dr. Ballard originally did not bring up any Titanic artifacts due to the fact that he saw this action as the equivalent of grave robbing, but many were eventually recovered and put on display at the National Maritime Museum in Greenwich, England or part of a traveling exhibition. Titanic wreckage has remained relatively stationary, but scientists believe that the multiple expeditions have caused extensive damage to the shipwreck and believe that the Titanic wreckage will collapse to the ocean floor within the next 50 years due to extensive damage caused by tourism and exploration. The mast has almost completely deteriorated and has been stripped of its bell and brass light. Other damage includes a gash on the bow section where block letters once spelled Titanic, part of the brass telemotor which once held the ship’s wooden wheel is now twisted and the crow’s nest is completely deteriorated.